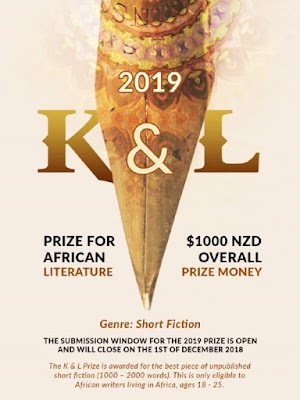 Submissions have begun for the 2019 K & L Prize for African Literature. 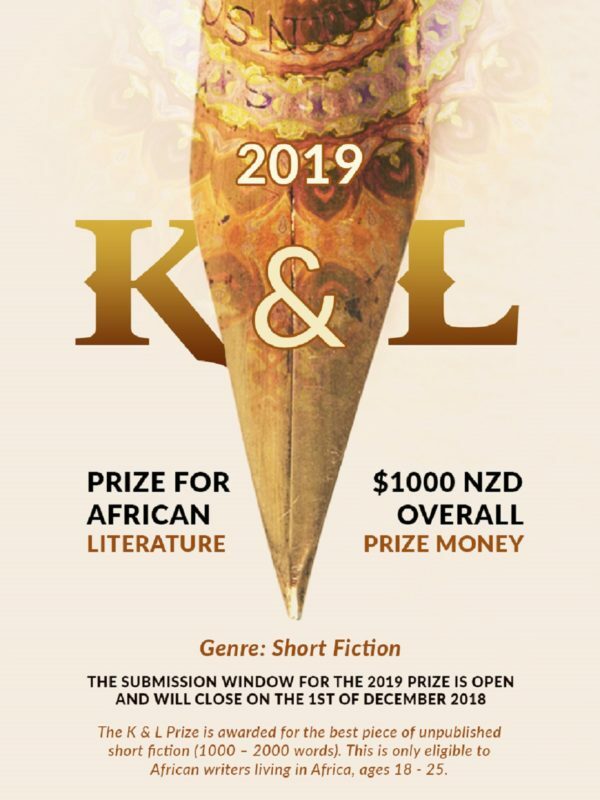 The $1,000 prize, which is in its first year, is awarded for the best piece of unpublished short fiction by an African. It considers short stories between 1,000 and 2,000 words about or inspired by a historical event on the continent. Entrants must be Africans living in Africa & between the ages of 18 to 25. Your submission should be an attachment accompanied by a bio pasted in the body of the email and containing your age, nationality, and city of residence. The subject of the email should include your name, age, and short story title. Send your submission as an attachment to id.ojabo@gmail.com. The judges for the K & L Prize will be announced soon. All inquiries about the K & L Prize should be forwarded to id.ojabo@gmail.com.